This 2018 Louisville Slugger Select 718 USA Baseball Bat (WTLUBS718B10) features a drop 10 length to weight ratio, a 2 5/8-inch barrel diameter, and the new USA Baseball (USABat) certification. With that stamp, this model is approved for play in AABC, Babe Ruth, Cal Ripken, Dixie Youth, Little League, and Pony baseball. Ready to up your game? Then pick up one of these Select 718 baseball bats today with free shipping and a full one (1) year manufacturer's warranty. Don't forget, with our 24/7 customer service, we'll be here for you from click to hit! Pros: My son tried this bat at a demo day and fell in love with it, so we got one. He's on the smaller side for a 10 year old, but didn't have an issue with it being a -10 vs the -12 that he swung last year. He says that it feels light to swing and doesn't sting his hands at all on mis-hits (he said that the Ghost X and Beast X stung his hands). It also has a pretty good amount of "pop" for a USA bat. We will have to see how it does in an actual game, but so far this bat has been great. I'm hoping that they eventually release a 2 piece composite version, but this will do the job for now. Cons: The only con is the price, because most USA hybrid bats are in the $250 range. Pros: Bat is very smooth and no vibration at all. We have hit 4-5 of the top of the line USA bats and this was the best for feel and pop. That being said,the USA bats don't have the pop of the previous bats. The balls my son was hitting 20ft over the fence with his xl1 are now 1 hopping the fence. I think this will be good for the game though in the long run especially for little league and the small diamond. Our 2nd favorite was the Rawlings Quattro. This is the first metal bat we've had since a ball. Cons: Doesn't have the pop of older mako's and xl1's. Pros: hot out the wrapper no vibration at all no matter where you hit it at on the barrel. Best pop for usa bat compare to what we tried ghost and beast. Pros: I got this bat for christmas and is the best usa bat i have seen. I have seen the easton ghost the 618 by slugger and demarini voodoo this bat definitely is the best bat. I also love the looks of the bat and the lizard skin that comes with it. Cons: I dont know if it is durable. Pros: bought this for my 9 year old, sounds great, still great pop, very satisfed. got this one due to getting the best reviews of most the USA bats, not disappointed. and no compaints of hands stinging yet! Cons: None yet. Put 3 stars on durability as we have no idea with the bat being a few weeks in. Pros: Good feel,no vibration to handle,sounds great, great pop right out of the wrapper for my 10 yr old we got 30"-drop 10. He said it feels light. Even being slightly end loaded. The lizard skin grip is very comfortable. Pros: The bat is very balanced, and has a good sized sweet spot. Its has great pop for a usa bat. The 2 piece construction helps alot with the sting being reported from most other bats. My 10 year old son is driving balls within 5'-15' less than with his 2017 Easton Mako XL, which is suprising from what I've seen from other 2018 bats. My son tested every bat available in the Easton, Rawlings, and Demarini lines, and fell in love with this bat. Cons: Not a true -10. Pros: I got this bat for my 9yr old and he loves it. It is 2 inches longer and 2 oz heavier than his old bat but he didnt lose much of his bat speed. He said he likes that it does not sting his hands even when hitting off of the end cap. I am very pleased with the performace of the bat, good pop. Cons: Have not used the bat very long but am a little worried about the bat grip coming undone on the barrel end. Pros: We waited for a while before buying a new bats for kids. We wanted to see what performed on the field and the solo was the only thing that stood out. If anything, have not rang the hands yet. solid purchase. Pros: Smooth. No vibration. Do not waste your money on any of the eastons. I purchased the Ghost and Beast and both my boys 10 & 7 (and their teammates) disliked the bat. Buy this bat or buy a wooden bat. I only gave it 4 stars on the "pop" because none of the USA bats have anymore pop. But this bat does have a great feel hitting through the ball. Pros: My son is 11 y/o & plays little league on a majors team. He was really bummed when he heard he couldn't use his composite bat anymore. But... he loves this bat. Great pop! He's hit a homerun at least 10ft over the fence already and a triple! And... both times boy did it sound nice. We had a game and it was freezing the other day plus he couldn't find his batting gloves. He told me after the game... "I found another reason why I love this bat. There isn't ever any vibration. Even today when it was freezing not once did it make my hands hurt or sting.". He also loves the way this bat looks and he gets asked all the time where did you get your bat? So.... as a mom I give this bat ??????????. Cons: Priced high but so are the other usa bats. Not the pop of last years bats but safer for the kids. Pros: very happy with this bat. Was about to go with the ghost but went this route. seen other kids hit with the ghost bat. I feel like this is a better bat. the grip is great. The bat is a bit end loaded but my son hasnt had any problems swinging it. Miss hits seem to do better off of this bat the the ghost. Pros: has the best pop of all the bats we have used! compared to the ghost x and dirty south bats. little to no vibration!!!! Eastons Ghost X will sting tour hands off your arms! my son has both and doesnt even look at the ghost x any more! Cons: a little top heavy! its a USA bat! Pros: Not one hand stinger after many BPs and games. Solid feel and easy to swing. Much better than the Easton Ghost and hits farther. Cons: May not hit as far as the old style bats but close with a proper swing! Pros: Own both Easton ghost x and 718. Very disappointed in Easton. This is our first slugger and we are extremely pleased. Alot of pop, great balance and no vibration. Pros: Best pop we have seen with USA bats. Its my sons favorite bat and the other kids love it too! I use it during practice and the bat feels perfect! My son actully prefers it during bp over his Cat7. Great looking bat also! My son is also recovering from a broken thumb, and this bat has no sting when you make a bad hit! Cons: None. Its a qulity bat and worth the money. Pros: no sting has good pop for usa bat. had easton ghost x hyperlite he couldnt hit with it stung his hands so bad. couldnt get ball out of infield with ghost. 1 home run and a ball in the air to the fence every game with this bat. pop is good but not like old bats. Pros: Hit hard when you do hit the sweet spot. My son broke his dirty south and was looking for a comparable replacement. This bat is not as good as the dirty south swag. Wish I would have spent the extra money and bought him a new swag. Pros: Awesome Grip. Balanced. No hand sting. Looks great. Fat sweet spot. To be honest it's way too early to say how durable it will be. Cons: I have no cons. My son is a first time player at age 10 and had not gotten a hit all season. I practiced batting with him between team practices and he would complain of hand sting. He had lost all confidence. I studied reviews of all the top bats and decided to spring for this one. It was a good investment. My son went two for two on two pitches for his first two hits ever in the end of season tournament. He felt no sting and suddenly he is full of confidence. Pros: Perfect grip right out of the wrapper. No need to buy Lizardskin and re-wrap the handle. Looks great and is the best hitting bat under the new rules. Widely used in tournament play and on select teams as well. No sting while hitting. Louisville Slugger really outdid Easton. Cons: It's a USA bat, which means it is less fun than other non-USA options, but that's what Little League, etc., now require. This is the best one of the lot. Pros: Great looking bat - very stylish. Nice feel, especially with the lizard skin grip. TRU3 connection between the handle and barrel is excellent. It makes vibration almost non-existent, even on miss-hits. Cons: There is no real sweet spot, leaving this bat with very little pop, even on solid hits. The ball barely reaches the outfield grass and just dies. I've tested every part of the barrel to try to identify a sweet spot, but there isn't any. In fact, there seems to be a dead spot right where the sweet spot is supposed to be. I performed a simple tapping vibration test on the barrel and it seems like there is a restriction ring/disk inside the barrel where the sweet spot should be. This would cause the dead response even on solid hit balls. I've tested at least a dozen other USA bats (my son as well) and this has the least pop of all of them. All of the others drive the ball 30 - 70 feet farther on average. Not sure if it's this particular bat, this particular size (30 inch/20 oz), or if all the glowing reviews about this bat are just manufactured marketing hype. This is not a $300 bat and not a top USA bat at any price. Even a $100 Rawlings 5150 is a much better bat. Pros: No sting, lots of pop! We purchased the ghost x back in November what a mistake Easton completely missed the boat there! So several teams we played were using the Louisville 718 and crushing the ball after talking with a couple of those coaches i decided to try it. My son loves it great pop no sting swings great, if your on the fence, get off, this bat is the real deal!!!! Pros: It has good pop for sure compared to most other USA bats. Seems to be very well made as its had some use from to big strong kids that hit the ball hard. Grip is awesome wish other bat company's would take their lead on this one. Pros: My son loves this bat. For a USA bat, the Louisville 718 does have "pop". My son loves the look, feel of the grip, and no vibration. He was more exited about the Louisville 718 then when he had the Ghost X. The 718 vs Ghost X, overall I think the 718 was a great match for my son. Cons: None to think of. Pros: My boy used all the big name bats, an this one is the best by far. He said said the bat just feels good. Cons: Gave 3 star for durability for the reason we only had for a couple of weeks. Pros: Waited a month or so into the season to purchase. Wanted to see how the different USA bats performed and for additional reviews to generate. This bat out performed all others! 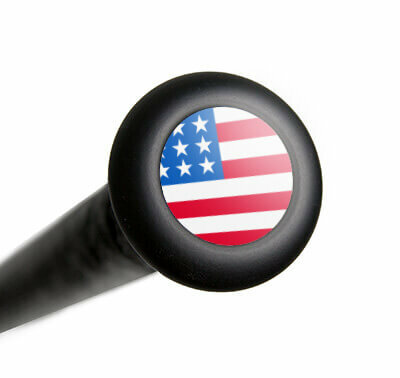 Hands down most pop of any USA bat!! My son had an amazing LL season of at the plate and he will tell you this bat is a big reason why. Pros: Great looking, decent pop. Cons: Had it less than a month and it sounds like the inside has sand in it. Mass produced items are bound to have a few bad ones in the bunch. Pros: Very nice bat. Well balanced and has great pop. My son really likes the feel of the bat. Cons: Only had the bat for a week so have not had any issues. Pros: Well balanced and great pop. Very little vibration. As my son said looks “awesome”. Great pop right out of the box. Pros: After doing a lot of research and reading a lot of reviews I decided to get this bat for our first USA standard bat and it did not disappoint! Some say this bat is hot out of the wrapper, but I do think it needs a little breaking in. At first the pop was ok, but after about 300+ swings it's starting to show it's true colors. I seriously can't see the difference from our previous USSSA bat performance and my son loves the 2 piece design and how comfortable it is in his hands. My son also has prefered the heavier swing weight so this was a perfect match. If you love the wood bat sound then this is the bat for you or your child. Have a question about the 2018 Louisville Slugger Select 718 -10 USA Baseball Bat: WTLUBS718B10? Ask our team of experts and they will respond within 24 hours. Does this bat come in a 28 inch 18 oz? No, the smallest size the 2018 Louisville Slugger Select 718 -10 USA Baseball Bat (WTLUBS718B10) is produced in is a 29" 19 oz. How does this compare to the 618? Is it worth the $100 more for the 718? The 2018 Louisville Slugger Select 718 -10 USA Baseball Bat: WTLUBS718B10 will have different features to it when compared to the 2018 Louisville Slugger Solo 618 -11 USA Baseball Bat: WTLUBS618B11. These would include: (1) weight - the 718 will be one ounce heavier (2) design - the 718 is a two-piece model with an alloy barrel and composite handle; this allows the 718 to offer better vibration reduction from off-centered hits (3) swing weight feel - the 718 will feature a slightly end loaded swing weight design. Whether or not to pay the additional amount to get the 718 would all depend on what the person values in a bat and what their personal preferences are. (1) How does the actual barrel length look compared to the Beast X Hybrid? (2) How does this bat compare to the 618? (3) Is it worth the $100 more for the 718? (1) The length of the barrel on this bat that is the full 2 5/8" diameter will be nearly the exact same as what you would have on the Beast X Hybrid. If one bat had an advantage over the other in regard to barrel length, it would be extremely minimal and offer no competitive advantage. (2) This 2018 Louisville Slugger Select 718 -10 USA Baseball Bat (WTLUBS718B10) differs from the Solo 618 bat as this 718 has a hybrid design that features an alloy barrel and composite handle. The Solo 618 features a one-piece, all-alloy build that is topped off with a composite end-cap. (3) I don't think you need to pay the $299.95 amount for this 718 to get a good bat, but I think that this 718 will be a solid rated bat once more players get in their hands. Are there plans to release this bat without the USA certification? We primarily play USSSA. Would we be giving up some performance purchasing a USA compliant bat vs one that is not USA compliant? Because of the popularity of the 2018 Louisville Slugger Select 718 -10 USA Baseball Bat: WTLUBS718B10, I would imagine Louisville Slugger will come out with a USSSA model. You would be giving up some performance with the USA model, lowered BPF and a smaller barrel with the USA models compared to the USSSA models. My son needs a balanced bat. He's a contact hitter. I like the Louisville 718 and was wondering if this is a good one for that? I typically try to get him the lightest most balanced bat. He used the 29/18 Mako Beast from last year and did well with it. The 2018 Louisville Slugger Select 718 -10 USA Baseball Bat: WTLUBS718B10 will feature a slightly end loaded swing weight. I would recommend the 2018 Louisville Slugger Omaha 518 -10 USA Baseball Bat: WTLUBO518B10 if you are looking for a balanced bat in the Louisville Slugger lineup. My son is 7 years old. He is currently swinging a 27" Maxum Combat for travel ball. We're looking to pick up a new bat that he can use for his Little League Season. How does this bat compare to the 2018 DeMarini Voodoo -10 USA Baseball Bat (WTDXUD2)? This 2018 Louisville Slugger Select 718 -10 USA Baseball Bat (WTLUBS718B10) will feature a two-piece, hybrid design and so will the 2018 DeMarini Voodoo -10 USA Baseball Bat (WTDXUD2). It is mentioned that this Select 718 will feel a little end-loaded. In contrast the Voodoo should be pretty balanced in its feel. However, I would say that the bats are very similar overall. I have heard that the USA bats are heavier than the drop listed when compared to previous bats. For example, the new bats may list drop 10 but a 30/20 is not really 20 ounces, but might be 22 ounces. Do you know the true weight of this bat? You are correct, I have seen that a majority of the new bats will weigh anywhere from one to two ounces heavier than the listed price. We are under the impression that each bat is weighed prior to being manufactured which means the individual pieces of the bat are weighed and then added together. Once the manufacturing process is complete, the bat tends to be heavier. How does the barrel length compare to the 2018 DeMarini Voodoo -10 USA Baseball Bat (WTDXUD2)? Which bat has a larger sweet spot? Both the 2018 Louisville Slugger Select 718 -10 USA Baseball Bat (WTLUBS718B10) and the 2018 DeMarini Voodoo -10 USA Baseball Bat (WTDXUD2) have nearly the same length from the end cap to the connection point. These bats are going to have very similar sweet spots. Will it be similar to the Prime 918 in overall weight and feel? The 2018 Louisville Slugger Select 718 -10 USA Baseball Bat: WTLUBS718B10 features a slightly end loaded swing weight, so it will feel heavier to swing than the well balanced Prime 918 line, but does offer the same three piece design. I know the bat claims to give "Hot Out Of The Wrapper Performance" but do these alloy bats have a break in period? Do they get hotter more pop the more you swing them? Does the alloy soften up? If you are buying an aluminum adult baseball bat, there is no break-in necessary! Aluminum bats are as hot as they are going to get as soon as you take them out of the wrapper. The 2018 Louisville Slugger Select 718 -10 USA Baseball Bat: WTLUBS718B10 features an alloy barrel so you will be ready to go as soon as you open it up. We are using Louisville Slugger Prime 917 - 30/20 and very happy with it. Looking to buy USA logo bat. Confused around Slugger 718 (30/20), Easton Ghost X -10 (30/20) and Voodoo -10 (30/20). Which one will be close, given USA bats have less power. The most comparable USA certified bat, when comparing it against the LS Prime 917, would be the 2018 DeMarini CF Zen -10 USA Baseball Bat: WTDXUFX. This bat will release on 1/22/18 and be featured in 30/20, 31/21, and 32/22 sizes. The 2018 Louisville Slugger Select 718 -10 USA Baseball Bat: WTLUBS718B10 is a hybrid and slightly end-loaded and thus would not make a great replacement of your current LS Prime 917. We need a new bat with the new USA Baseball stamp. He is 12 and weighs 70 lbs at 4' 10". He likes the Mako bat, but borrowed the new Ghost X and didn't like the 31" 21 ounce as it was too heavy. He wants a bat that reduces vibration. Would this be a good fit at 30"and 19 or 20 ounces? The 2018 Louisville Slugger Select 718 -10 USA Baseball Bat: WTLUBS718B10 features a slightly end loaded swing weight, so it would actually swing a little heavier than the Easton Ghost X. Bats that will offer the lightest swing weight, and still be equipped to eliminate vibration would be the 2018 Easton Ghost X -10 USA Baseball Bat: YBB18GX10 or the 2018 Rawlings Quatro -10 USA Baseball Bat: US8Q10 in the 30" 20 oz. size. Would the performance of a three-piece hybrid bat hold up against the Easton Ghost one-piece and two-piece bats? Does the piece construction make the bat perform different? By that I mean does one elevate the ball more than another? Inherently, there is no performance difference between using a one-, two- or three-piece bat. The benefit to using a two- or three-piece bat, like this 2018 Louisville Slugger Select 718 -10 USA Baseball Bat (WTLUBS718B10), is that it will reduce vibration on the hands of the batter. If your player's hands sting while batting, he might be more comfortable with a two- or three-piece design. Construction wise, what makes this a three-piece hybrid bat? This 2018 Louisville Slugger Select 718 -10 USA Baseball Bat (WTLUBS718B10) has three pieces: the barrel, the handle and the connection point. This bat is considered a hybrid because the handle is composite and the barrel is alloy. My son is 9 with a pretty efficient swing. He used the MAKO Beast (29"/19 oz) and will continue to use this bat for his travel season. We are looking for something comparable in performance and characteristics for his Rec League (Pony). We are not set on composite, so alloy or hybrid would be fine. What would you recommend? I think getting an aluminum barreled bat would be just fine for your player. The biggest thing would be to make sure you are getting the correct size for your player. This 2018 Louisville Slugger Select 718 -10 USA Baseball Bat (WTLUBS718B10) is available in the -10 length-to-weight ratio and if you think the 29"/19 oz size is still the best option for him, I would get that size. Also, you'll see that this bat has gotten excellent reviews so far since being released. Is the barrel on the 718 longer than the barrel on the new CF ZEN? Of these two bats I would say the taper begins slightly earlier on the 2018 Louisville Slugger Select 718 -10 USA Baseball Bat: WTLUBS718B10, however the total barrel length is longer than the CF ZEN. My son is 13, 5'3 and 94 lbs. He swung a 31/21 Mako Torq last year. I have been looking at the new Easton Ghost X -10, DeMarini Voodoo (WTDXUD -10) and the Louisville 718 -10. Should he stick with the same size and weight, or go up to a 32/22? Which one of these bats is most comparable to the Mako? He really liked that bat. At his height and weight, I would suggest sticking with the same 31" length. The 2018 Easton Ghost X -10 USA Baseball Bat: YBB18GX10 would be the continuation of the Mako line, so it would be the most comparable of the USA bats. However, at your player's age, you may want to consider moving to a heavier length to weight ratio, such as -8 or -5. My son is about to be 12 and will be in last season of little league. He's about 5'2" and 110 lbs. The last couple of seasons he's used a 30/20 Combat 2 1/4" Maxum (MAXYB110) for LL and a 30/20 Combat 2 5/8" Maxum (MAXSL110) for travel. We are in the process of trying the new USA bats for the upcoming season. He's hit the 31/21 Easton Ghost and Beast, and the 31/21 DeMarini Voodoo One. He actually liked the DeMarini the best, with the Beast a close second. I was wondering if you thought based on his experience with the above bats, if trying the Louisville Slugger Select 718 -10 and/or the Omaha 518 -10 would be worth it. I'm assuming his Combats were balanced and the Voodoo One is a balanced bat as well. It seems that the LS Select is a bit different but seems to be getting good early reviews. Thanks! Yes, the Louisville Slugger bats are great options that I recommend a lot of people considering. Louisville Slugger over the years have been very durable, solid performers with a very balanced feel. Hello. My son is 11, 5'5" and weights about 140 lbs. His league is not requiring the USA bat stamp for spring, but if he plays a sanctioned tournament, he will have to have it, so I figure he better get used to it. He was using the Mako Torq last year. What size bat would you suggest, and do you think this would be a good bat for him? He has always been able to be a powerful hitter. I would recommend a 32 inch bat for your player. Unfortunately, we won't have anything similar to the 2017 Easton MAKO BEAST TORQ -10 Senior League Baseball Bat: with regard to the handle. However, we have other two-piece options you could consider. The 2018 Louisville Slugger Select 718 -10 USA Baseball Bat: WTLUBS718B10 gets tremendous reviews and I really like the hybrid design. I think the slight end-load would be beneficial also because he is a powerful hitter. My son is 12 years old, 59" and 130 lbs. Would a 32" and -5 be suitable for him in your opinion? Based on your player's height and weight, I think that he would be able to handle a 32"/27 oz size of bat. However, I think that this 2018 Louisville Slugger Select 718 -10 USA Baseball Bat (WTLUBS718B10) will be too light as it is a -10 size. My 9 year old is 4'10", around 120 lbs, and an above average hitter. For my money should I get the 30"/20 oz or a 29"/19 oz? We would probably recommend a 30" length for his height and weight. My almost 10 y/o son is 4'7" and 82 lbs. He swung a 29"/17 oz Mako last year. If we go with a slightly end-loaded Slugger 718, should we stick with a 29" or go to a 30" bat? 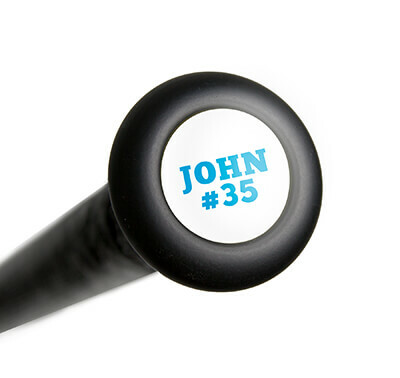 Based on your player's height and weight, we would make a general recommendation of a 29" bat. If you guys got this 2018 Louisville Slugger Select 718 -10 USA Baseball Bat (WTLUBS718B10), you could go with the 29"/19 oz size or the 30"/20 oz size. The 29" bat will be best for his current size, but the 30" would give him something with which he could grow as he gets bigger. My son is 11 years old, 5'1" tall, 105 lbs. I want to get him a new USA Bat. He's been borrowing a 618 Solo 30"/19 oz. Should I get him a 31"/20 oz? Is the 718 just a nicer bat? Also need to get him one for club. Any suggestions? We would suggest a 31" length for his height and weight. The 2018 Louisville Slugger Select 718 is a three-piece, hybrid design with a composite handle and alloy barrel. The Solo 618 is a one-piece, alloy bat. Both are excellent choices for a new USA bat and have been selling very well for us. My son is 5 ft and 140 lbs. Would you recommend a 30 or 31 inch bat? Based on your player's height and weight, I would recommend the 2018 Louisville Slugger Select 718 -10 USA Baseball Bat (WTLUBS718B10) in a 31"/21 oz size. Are the 618 and 718 made of the same alloy? If so, how much lighter is the 718 since it's a hybrid. Based on all the reviews, all USA bats are heavier than advertised. I would like a lighter bat, and would like to know if paying an extra $150 for the 718 is worth it. The 2018 Louisville Slugger Select 718 -10 USA Baseball Bat: WTLUBS718B10 features ST 7U1+ Alloy, which is the same alloy that is featured on the 2018 Louisville Slugger Omaha 518 -10 USA Baseball Bat: WTLUBO518B10. The 2018 Louisville Slugger Solo 618 -11 USA Baseball Bat: WTLUBS618B11 is made with SL Hyper Alloy, which is stiffer and more responsive than the ST 7U1+ alloy. The 2018 Louisville Slugger Select 718 -10 USA Baseball Bat: WTLUBS718B10 is actually about an ounce heavier than the 618, and will feel even heavier due to the hybrid design giving the bat an end loaded feel. The 2018 Louisville Slugger Solo 618 -11 USA Baseball Bat: WTLUBS618B11 would actually be the lightest bat available from Louisville Slugger. When do you think y'all will get some 31/21 bats in? We hope to have more of the 31/21 2018 Louisville Slugger Select 718 -10 USA Baseball Bat: WTLUBS718B10 in stock around the first of April. I am very interested in this bat in a 30" size. When do you think you might have more in stock? Unfortunately, do to the demand this season for USA bats it is very hard to say a direct time table for availability on the 2018 Louisville Slugger Select 718 -10 USA Baseball Bat: WTLUBS718B10. We are roughly, expecting another shipment of these bats in the next 2-4 weeks. I am torn about what bat and size to get my son. He is 56" & 86 lbs. He currently swings a Mako Beast 28/18. We're now having to change bats to USA, not sure if I should get him a hybrid or full composite. We really like this 718 Louisville. Should I go 29/19 or 30/20? Is this a better bat then what Easton or DeMarini are offering? I would like for him to get at least 2 years with this bat. Based on your player's height and weight, I would suggest a 29" bat. The 2018 Louisville Slugger Select 718 -10 USA Baseball Bat: WTLUBS718B10 is very similar to the 2018 DeMarini Voodoo -10 USA Baseball Bat: WTDXUD2 in terms of construction and ratings, so it would just come down to the player's preference on which one to go with. Will you ever carry this in a 33"? Or does Louisville Slugger make it that large? We have never carried and don't anticipate carrying this -10 model in a 33" length. I don't believe Louisville Slugger will make it that large, but you would have to contact them directly for more information. My son is 12 years old, 4'7" tall and 70 lbs. He's small, fast, and a very good contact hitter. What size would you recommend? He used a 29 inch, 16 oz DeMarini last year. Would a 30 inch be ok? We would recommend a 29" or a 30" length for his height and weight, so yes a 30" would work. How would the swing weight and actual weight of this Bat compare to a CF Zen USA Bat in a size 30"? I do understand that the Zen is a 2 piece composite. Just wondering which one has a lighter swing weight and pop. The DeMarini CF Zen would have a lighter swing weight than this model, because the 2018 Louisville Slugger Select 718 -10 USA is an end-loaded model. This means some of the weight (~.5oz) is shifted towards the barrel to give it a top heavy feel. This provides better power if you can still maintain good bat speed, but does make the bat feel heavier than balanced models such as the DeMarini CF Zen. So which Slugger bat would you prefer the Solo 618 or the Select 718 and why? If your player is more of a power hitter I would go with the Select 718 due to its end loaded design which provides more mass at the point of contact. If the player is more of a contact/doubles hitter than I would suggest the Solo 618 due to its well balanced design to optimize bat speed. Is this bat approved for use in little league? Yes. The 2018 Louisville Slugger Select 718 -10 USA Baseball Bat (WTLUBS718B10) is approved for play in AABC, Babe Ruth, Cal Ripken, Dixie Youth, Little League, and Pony Baseball. Is the 30 inch -10 going to be in stock anytime soon? Unfortunately we are not sure on the date for when the 2018 Louisville Slugger Select 718 -10 USA Baseball Bat: WTLUBS718B10 will be restocked in the 30 inch model. Is it good for senior league baseball? Is it legal? This bat would be legal for use in USSSA leagues and tournaments, however it will have noticeably less pop and performance than a Senior League/USSSA bat. In 30 inch would this bat have a heavier or lighter swing weight compared to the Easton Beast Hybrid USA bat? I would say that the 2018 Louisville Slugger Select 718 -10 USA Baseball Bat: WTLUBS718B10 will have a lighter swing weight compared to the Easton Beast Hybrid USA bat. I need purchase a baseball bat to use in Little League. My son is 10, 5.88 feet of height and 85 lbs. What is the best bat for him, Louisville Select 718 or Rawlings Quatro? He has a fast swing and strong. In July 2018 we are going to Republica Dominicana to Little League Latinoamerican Tournament and we want a bat with good pop and performance. He used in 2017 a MAKO bat size 29 inch. The 2018 Louisville Slugger Select 718 -10 USA Baseball Bat: WTLUBS718B10 has been a very popular bat in the USA standard but there is not enough evidence to say definitively that this bat has more performance capabilities than others in its category. With that being said, this bat in a 30 inch model would certainly be a great option to consider. The USA and BBCOR specifications allow for similar overall performance. The 2018 Louisville Slugger Select 718 BBCOR Baseball Bat: WTLBBS718B3 option would perform higher due to being a heavier bat and with a stronger player, it would have more pop. However, if the player is younger (9-11 years old) and needs a USA option, then the 2018 Louisville Slugger Select 718 -10 USA Baseball Bat: WTLUBS718B10 is a very high performing bat. My son is 11U and needs a USA certified bat for local play. He normally swings a 30/20 USSSA Easton Ghost X for travel ball. I've been looking at the 718 Select and the Beast X Hybrid. They seem very comparable. Would you recommend one or the other? Both bats are good choices. I would go with the Louisville Slugger Select 718 if you want an end-loaded design and feel, or the Easton Beast X Hybrid if you want a well balanced, light swinging bat. I'm looking for a 30"/22 oz bat. Does the 2018 version of the Slugger Select 718 [USA] come in a drop 8? Sadly, this 2018 Louisville Slugger Select 718 -10 USA Baseball Bat (WTLUBS718B10) did not have a -8 counter-part made as well. That being said, for 2019, the Select 719 was made in a -8 sizing and a 32"/24 oz bat was made. Does this bat come in 29/19? The Louisville Slugger Select 718 -10 USA Baseball Bat: WTLUBS718B10 was featured in a 29 inch model but we have sold out of all inventory in this size. With the bat being a closeout we can no longer get more in from LS. The next best option would be the Louisville Slugger Select 719 -10 USA Baseball Bat: WTLUBS719B10. What is the certification on this bat? This Louisville Slugger Select 718 -10 USA Baseball Bat (WTLUBS718B10) is neither USSSA or BBCOR rated. It is a USA rated bat. With the USA certification, it will be limited in its performance. A USA bat is required for Little League, Pony, Dixie, Dizzy Dean and Babe Ruth/Cal Ripken. It would also be allowed for use in USSSA leagues or tourneys. This Select 718 would not be allowed in BBCOR leagues though. Do you know when you'll have a 29/19 -10 in stock? We will not be getting anymore of the 2018 Louisville Slugger Select 718 -10 USA Baseball Bat: WTLUBS718B10 as it is the older 2018 model. We do have the 2019 Louisville Slugger Select 719 -10 USA Baseball Bat: WTLUBS719B10 which is the newer version in stock.